For a totally unique and satisfying experience hire Best Home Renovations. For over 45 years we have been helping homeowners in Bartlett create revolutionary room environments with Remodeling Contractor products of the highest quality. We are Illinois certified in all home interior and construction and can perform any job whether it’s large or small. We can take you ideas and turn them into reality right before your eyes. From design and initial floor plans all the way to deliver and completion, our skilled contractors do it all. Next time do it right with the remodeling professionals. At Best Home Renovations we are the remodeling experts. We are your Bartlett Remodeling Contractor. Get in touch with your creative side with a totally original and decorative mural or mosaic from Best Home Renovations. Let our skilled artisans piece together a great design that fully compliments any room in your home. Our mosaics are hand-crafted from beautiful stone finish that truly sets your home apart and gives you an elegant touch. Our service includes monograms, flooring borders, flooring patterns, kitchen vent hood designs, and kitchen backsplashes. Mosaics and murals are the icing on the cake for any kitchen or bathroom. One of the most popular types of flooring on the market today is tile. Tile provides the greatest type of floor insulation for any room in your home. Whether you’re looking to redo your kitchen, bathroom, or any other room, you’ll discover a world of styles, colors and patterns with tile flooring. There are also a wide variety of materials and sizes to choose from. You can get a completely customizable design that sets your room floor apart. Tile is affordable compared to other types of flooring and it’s quick and easy to install. Remodeling your kitchen will be one of the greatest investments you make for your home. So it’s important to get it right the first time. With the help of a Best Home Renovations professional, you can be well on your way to the perfect kitchen for your home. Schedule a consultation with our design team and let us partner with you to create a vision for what you want your brand new kitchen to look like. You can choose from kitchen tile and wall patterns and colors to sturdy built cabinets and countertops and then top it off with appliance installation. Your entire kitchen comes together in order to create a cohesive design that is unique and beautiful. You’ll have a whole new kitchen in no time. Today’s bathrooms offer a huge selection of great modern accessories and components that make any bathroom in your home stand out. Whether you are into more traditional classic styles or are going for a bold modern look with eye-popping colors and tones we can help you every step of the way. We install vanities, showers, tubs, decorative flooring and can even re-route all wiring and plumbing in order to accommodate your ideas. With Best Home Renovations the sky is the limit. We can help you launch your bathroom remodeling project today. 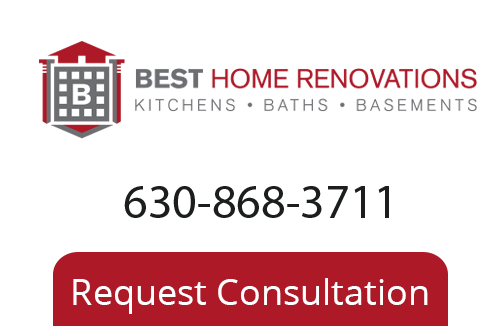 To learn more about our Bartlett Remodeling Company please call 630-868-3711, or fill out our online request form.